Whatever Happened to the Gospel? 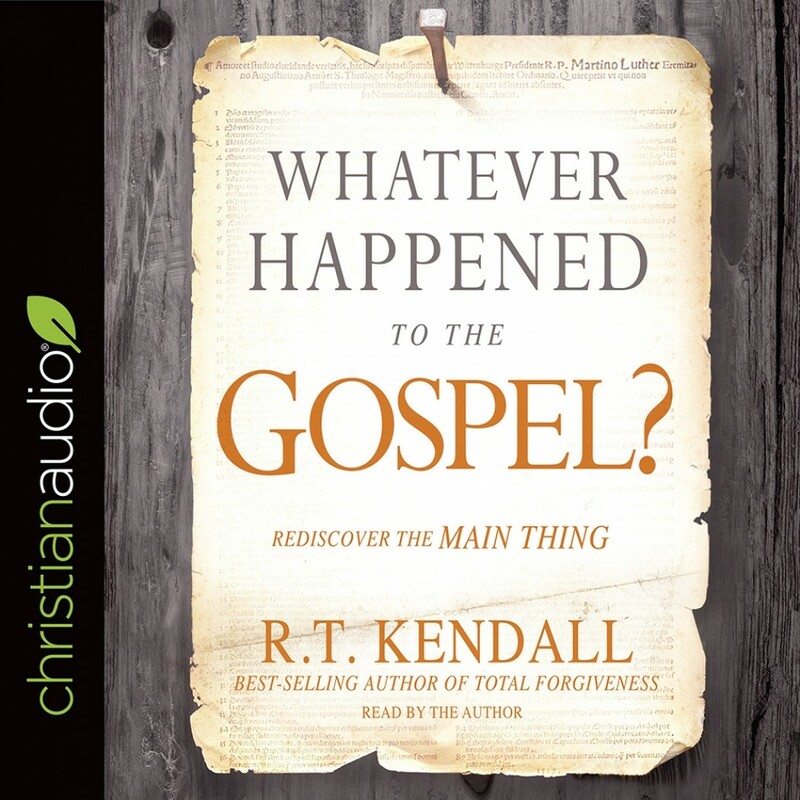 | R.T. Kendall | Audiobook Download - Christian audiobooks. Try us free. You know the “prosperity gospel.” The “name it and claim it gospel.” The "political gospel". The messages being preached on at least 90 percent of religious television. But what about the Gospel? What was it the apostle Paul was “unashamed” of? Most Christians don’t understand what the true Gospel of Jesus is. In our church sanctuaries pastors neglect to preach the fear of God and eternal punishment. Church communities have grown to believe that all are saved and none will be lost. Meanwhile many other Christians lack assurance of their own salvation and focus on sanctification as their only ticket to Heaven. They ignore what was historically introduced by Jesus, filled out by the apostle Paul, and articulated by the sixteenth-century Reformers. The Gospel has been brushed to one side, and evidence of this is seen in how churches are misleading and even mistreating people. IT'S TIME TO BRING BACK WHAT IT REALLY MEANS TO BE SAVED. Respected author and theologian R. T. Kendall sounds a wake-up call for churches across the globe. Whatever Happened to the Gospel? seeks to reacquaint you with the Gospel and reignite a passion in your heart to know more of God.